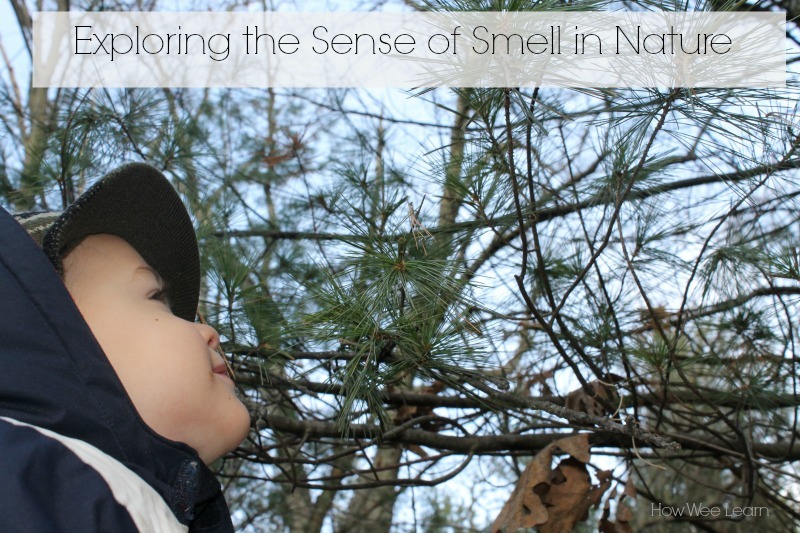 Five Senses Activities for Kids Outdoors! 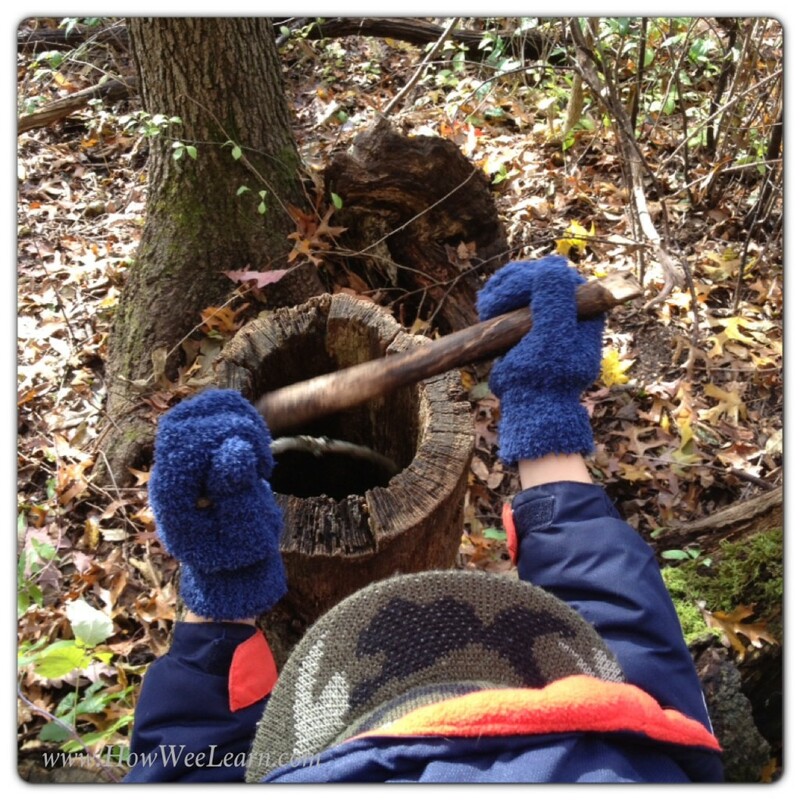 I started this series of exploring five senses activities for kids outdoors a little while ago. Now that we have explored all five senses I thought I would write a post to neatly tie up the series. Exploring the five senses is fun and important for kids to do. And it is interesting as an adult to watch wee ones explore each of their senses. 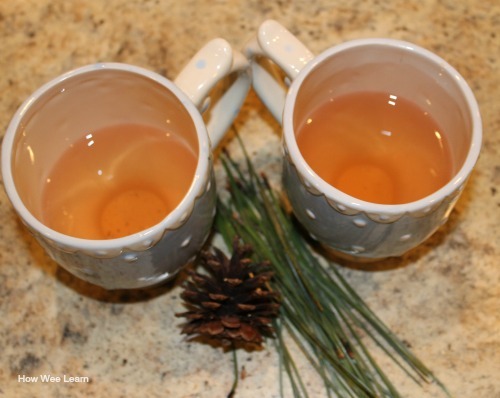 Of course there are many ways to explore the senses, but since my kids love to be outside, we thought up creative ways for them to explore their sense of sight, sound, taste, smell, and touch. Part 2: Next we explored the sense of sound. There is always so much to listen to outside! Whether you are in the forest or in a backyard, it is amazing what you can hear when you truly stop and listen. We also made our own sounds – and lots of them! Here are the activities we did to explore the sense of sound. Part 4: We put our noses to work outside with a simple twist on the game of hide and seek to explore the sense of taste. This one was lots of fun and had the whole family playing! Here is how we Explored the Sense of Smell outside. Part 5: The last sense we explored in our five senses activities for kids was the sense of touch. This was such a simple activity but had huge learning benefits! We brought play dough outside and explored different textures and imprints. This is how we explored the Sense of Touch outside. My kids really enjoyed simply and playfully learning about the five senses outside. And, truthfully, I had a lot of fun joining them! I find it very fascinating how different the same things can ‘look’ when you explore with different senses. Some lovely ideas here for discovering your senses with kids. 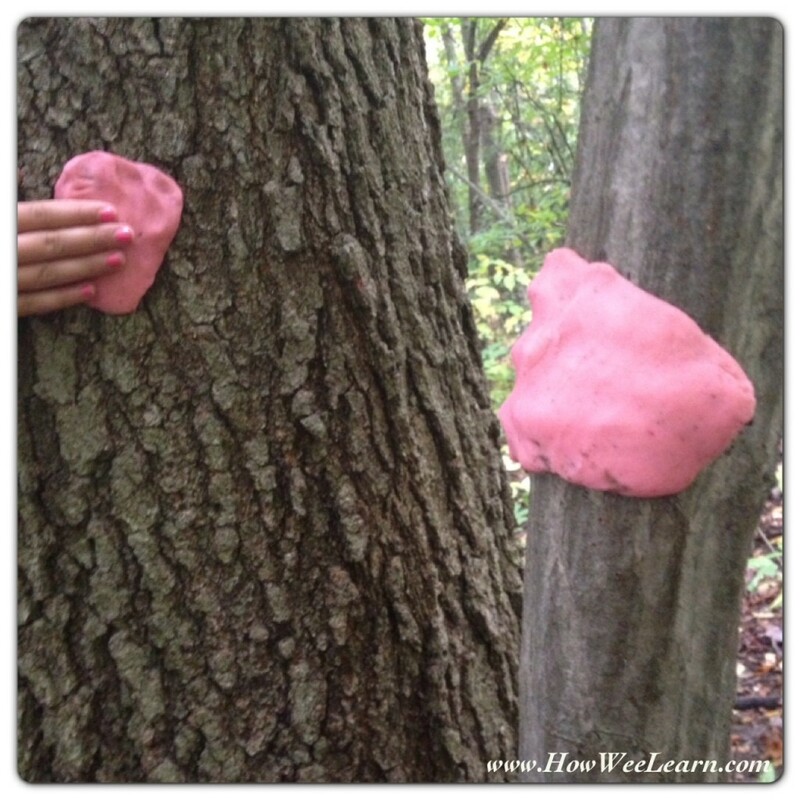 That play dough on the tree looks like lots of fun, altogether a great post of discovery and learning. Thank you for joining me on Country Kids. Thank you so much for hosting! So glad you enjoyed the series! Thank you for taking the time to comment! So glad you liked the series! What great fun you have all had outdoors I loved the paper plate viewer idea but think the photo of the dough on the tree is my favourite! Thanks so much for supporting the Outdoor Play Party this week too. Thank you Kierna! And thank you for hosting the Outdoor Play Party! Love the idea of going through the senses, the playdough imprints look great fun – would never have thought of taking that outside! I too love the play dough idea! Simple yet effective. Thank you Rosie – time and again my wee ones remind me it is the simplest things in life that bring the most happiness! This is such a great post I shared it on my FB page – I love all the links to the activities. Thank you so much for sharing Monko! Thanks so much for this great comprehensive post that incorporates ALL of the senses! With so many posts about tactile bins and activities, it’s awesome to see some creative ways to bring in visual, auditory, olfactory, and taste experiences too! Thank you Kate! Yes – the sound exploration was lots of fun! 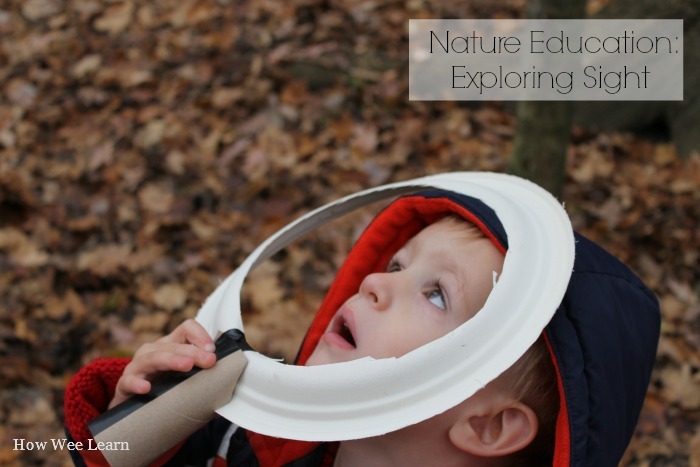 What fun ideas for exploring the senses and nature at the same time. I must admit that the thought of tasting things in the woods takes me out of my comfort zone as well. Thank you for the series. Thank you Sara! Yes – but I must say – I am so glad I broke out of that zone! I bet you would be too 😉 Pine needle tea is a pretty safe place to start! Great idea on bringing the senses into outdoor learning. Thanks for sharing! I was inspired by such five senses activities. Thank you so much for sharing.